Excellent entertainment at the Emerald Queen Casino is largely built and maintained by providing superior service to its guests. "Guest service is very important to us, both internally and externally," wrote Denise Hagler, the EQC's communications coordinator, in an email. "We value the level of experience our team members contribute to our organization every day." The Emerald Queen Casino will take part in Northwest Military's Dream Big Career and Education Fair, Saturday, April 13, 9 a.m. to noon at the LeMay Marymount Center in Spanaway. The casino is a Native-American-owned establishment and is operated by the Puyallup Tribe of Indians. The casino opened in 1996 on the Emerald Queen, a Mississippi paddlewheel riverboat currently located on the Port of Tacoma waterfront. As its popularity grew, the tribe closed the riverboat in 2004 as it began to expand its operations through the purchase of the old Best Western Hotel in Fife and several other structures. 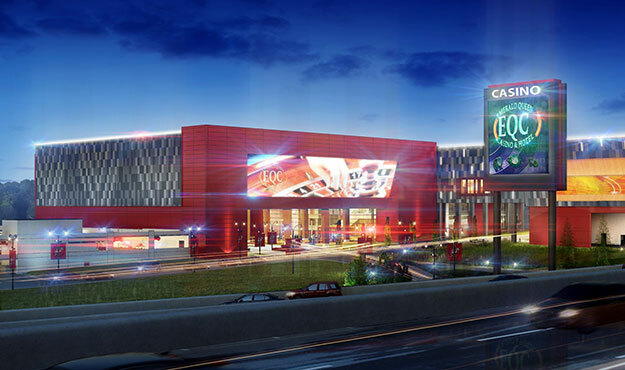 "With 2,300-plus employees and growing, we're excited to open our brand-new Vegas-style casino next to our current Tacoma I-5 location in December," Hagler said. With the expansion comes the need for more employees. "We want new team members who know how to relate to a diverse customer base and also to coworkers from many different backgrounds," continued Hagler. "Veterans have what we are looking for in an employee because of their ability to communicate, to be motivated, to be accountable, and to work well with a culturally diverse team. They are great employees at the Emerald Queen." Hagler related how one veteran began his career at EQC in 2011 and has risen to a management position. "He's known for his courteous, professional service, and he's even been a part of several life-saving medical interventions," she added, "and he's been promoted twice and is now a lead security officer." She also pointed out that veterans with experience in electrical work or culinary services also find themselves in good career positions. "There are no limits with the Emerald Queen Casino," Hagler said, "and we take care of our employees." Full-time employees receive 100 percent paid medical, dental and vision benefits; a $10,000 life insurance policy; a 401(k)retirement option with up to a six percent company match; 18 paid flex days per year to start; an employee assistance program; supplemental insurance through voluntary payroll deductions; and free employee meals. "We want every veteran and their families to know that they are valued here at the Emerald Queen Casino," Hagler concluded. "We make recruiting at Joint Base Lewis-McChord a high priority because we know the qualities veterans and their families possess. Veterans and their families are some of our most valuable managers and employees, and we're always looking to hire more!" The Emerald Queen Casino is located at 2024 E. 29th St. in Tacoma. For more information about the casino, visit: emeraldqueen.com.